If you are a student or work at the Gateshead College, then owning a scooter is a great way to commute to school. Even better, think of how much fun it would be if you explore the length of the Gateshead Millennium Bridge at your own pace. Now you see why owning a scooter in Gateshead is a fun choice and would save you a lot of stress and time. Faster in Traffic: Scooters can easily slip through tiny gaps which helps get you out of traffic fast. Price: Scooters are very affordable when compared to cars or bikes. Hit the Road Faster: Scooters allow you to get on the road a year earlier than most car owners. Fuel Economy: Scooters are very cost-efficient because they use up less fuel than cars or bikes. Insurance: At Direct Bikes, we will also help you compare the best insurance deals for your scooter. Design: Our 50cc and 125cc scooters are available in different sizes, colours, and styles and are customisable to suit your preference. 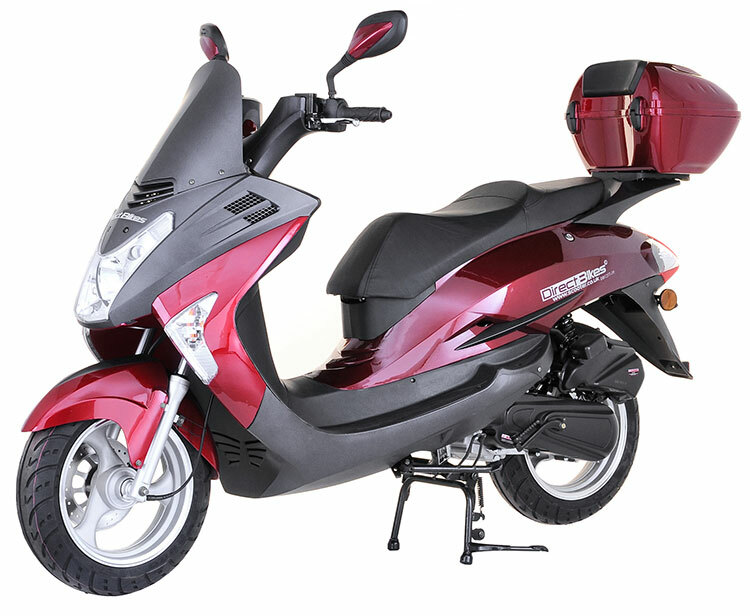 We do not have local distributors in Gateshead, but we will deliver your scooter to you in any part of Gateshead town without any stress. All you have to do is fill in your delivery details during payment, and you will be cruising through the streets of Gateshead in no time.